Belgium winger Yannick Carrasco can end his turbulent spell in China this year if he is desperately unhappy, his club said, in comments which will alert top European sides including Arsenal and AC Milan. The emotional roller coaster of the UEFA Champions League semifinal second leg between Manchester City and Tottenham Hotspur will still be rolling on come Saturday lunchtime when the teams meet again. Ajax captain Matthijs de Ligt said he was lost for words after his wonderful header dumped Juventus out of the Champions League on Tuesday in a "bizarre" 3-2 aggregate win. Bayern Munich President Uli Hoeness ruled out breaking the 100 million euro ($113 million) mark this summer and said he would buy French striker Kylian Mbappe “immediately” if he had the money. Arsenal boosted their hopes of a top-four finish in the Premier League after a ­bizarre 10th-minute goal by striker Pierre-Emerick Aubameyang gave them a 1-0 win at 10-man Watford on Monday. German soccer legend Jurgen Klinsmann said Chinese coaches should figure out a path that suits their own youth, when asked to give some technical suggestions to young Chinese players during an interview on Sunday in Beijing. 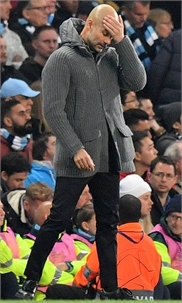 Barcelona's 11-point advantage over Atletico Madrid became nine on Saturday as Lionel Messi was left out of their goalless draw with Huesca and Gerard Pique watched on television with a bowl of prawns. Manchester United manager Ole Gunnar Solskjaer said his side “got away with it” as United warmed up for their Champions League clash with Barcelona with a labored 2-1 win over West Ham United on Saturday. Juventus coach Massimiliano Allegri hailed star striker Cristiano Ronaldo as being in a class of his own after he bagged a precious away goal in their 1-1 Champions League quarterfinal draw at Ajax on Wednesday. Norwich's charge toward promotion from the Championship suffered a setback as Andy Rinomhota snatched a dramatic injury-time equalizer for Reading to earn a 2-2 draw at Carrow Road on Wednesday. Manchester United face an even tougher task to turn around the 1-0 deficit from the first leg of their quarter­final with Barcelona than their miraculous comeback away to Paris Saint-Germain in the last 16, coach Ole Gunnar Solskjaer admitted Wednesday. The English Premier League season is heading toward its end and outside of the title race one of the most interesting sidebars is the race for the best player. 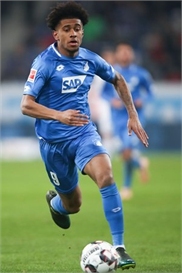 English teenager Reiss Nelson remembers driving up the leafy road toward the training ground of Bundesliga club Hoffenheim for the first time and thinking, "Where am I going?"